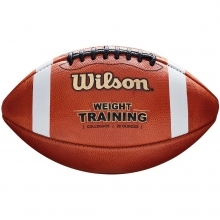 The official size Wilson Slick Training Football features a unique slick leather finish that's designed to mimic the reduced gripability faced during wet weather conditions. Wilson's Slick Training technology benefits every skill player on the field by training teams to catch more, fumble less - rain or shine. 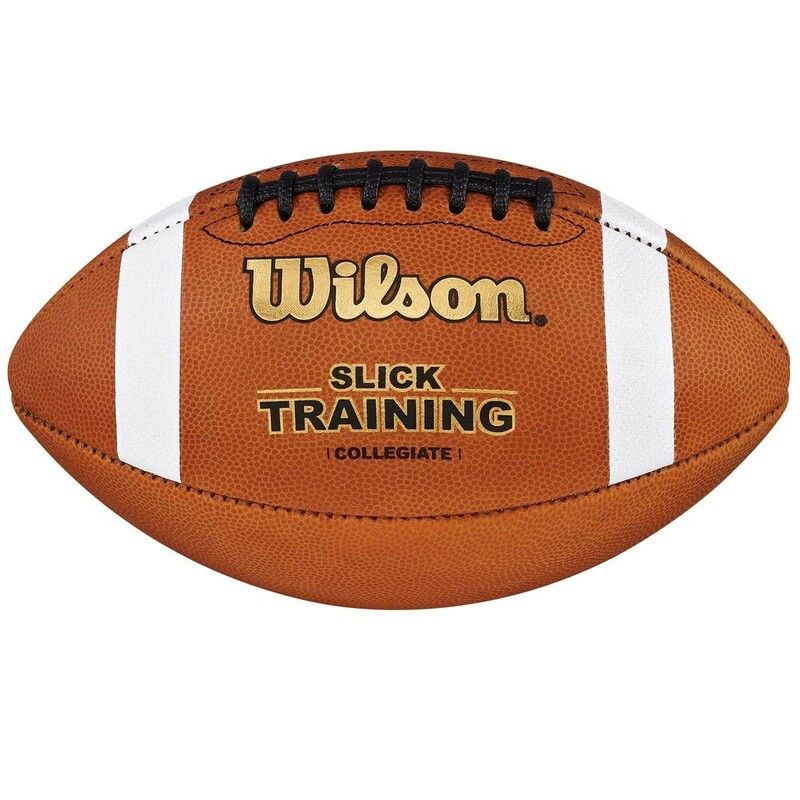 The Slick Training ball is made of Wilson's exclusive WE 863 leather, has ACL patented lace technology, and has a multi-layered lining for consistent shape and durability. 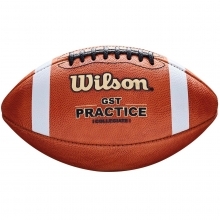 After training with the slick football you'll be able to throw bombs to the back of the end zone in the rain or the snow with no trouble at all.